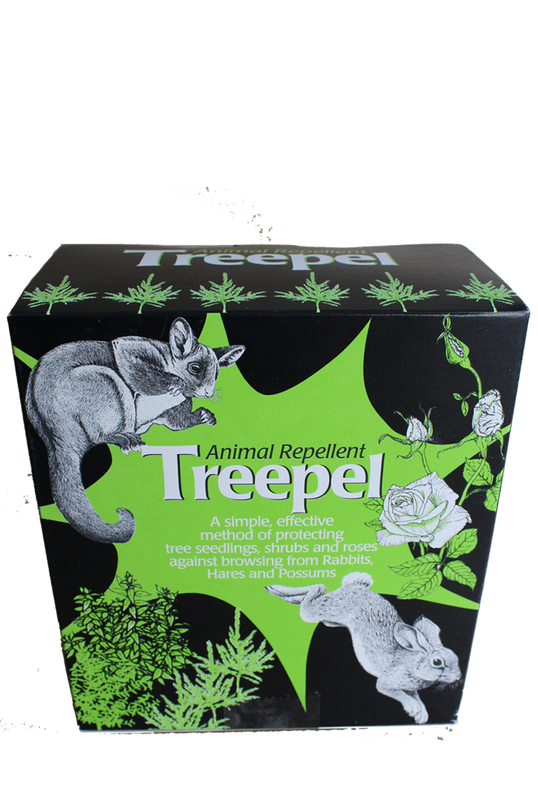 Treepel Animal Repellent has been developed in New Zealand to provide a safe and effective means of protecting plants from damage by rabbits, hares and possums. Treepel is non-toxic and does not harm animals or plants. It simply makes the plant unpleasant to the animals senses. Treepel is easily applied, by spraying or dipping. It is economic to use and a few bushes, or thousands of seedlings, can be protected for a surprisingly low cost. If you live in an area where pests damage plants, close to bush or near farmlands, it makes good sense to protect your investment in plants and seedlings. Treepel is highly effective against pest attack and will reward a small investment many times over. Treepel's NZ manufacturer is experienced in all facets of forestry planting and nursery propagation and is well able to advise on it's correct use. Extensive research carried out by the New Zealand Forest Research Institute and Landcare has shown it to be very effective against these pests, even if there are abnormally high animal densities. For the post planting treatment of 100 seedlings using a sprayer. Suited to smaller lifestyle blocks. Commonly used in the home garden, after planting. Specially developed for protecting rose bushes and other at-risk shrubs. For the post planting treatment of 750 seedlings using a sprayer. Commonly used on larger lifestyle blocks and small farm plantations.